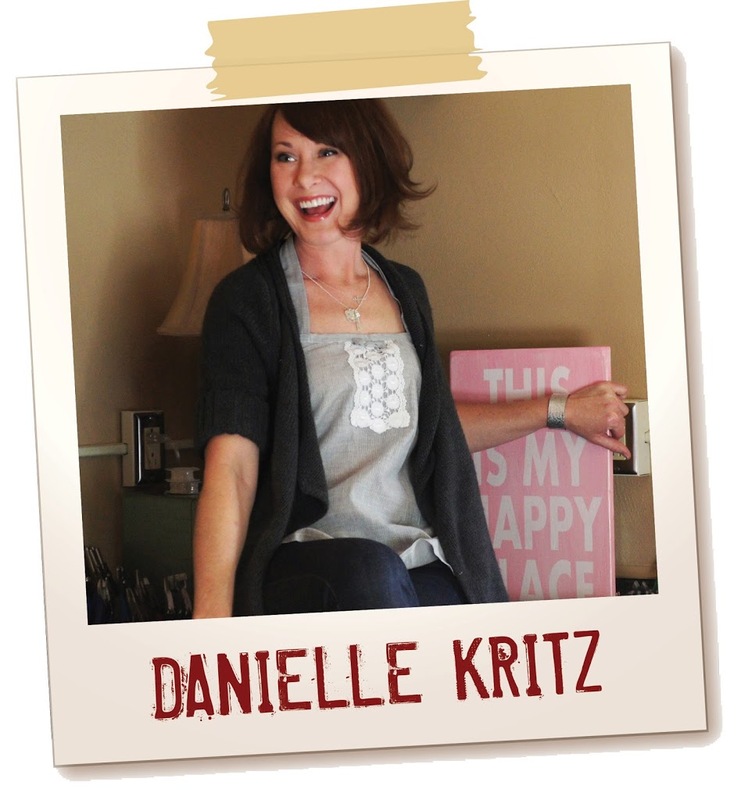 The Artisan Group is proud to announce today’s Artist Spotlight Feature is Danielle Kritz of River Valley Designs! I’m a self-taught metalsmith and hand stamper and started my business in 2011 on Etsy. I make every piece in my shop to order so it can be personalized just the way a customer wants it to be. The end result is that I get to create a high quality, very sentimental piece for a customer that she or he will treasure themselves or give to someone speical in their lives. It’s a very personal way of doing business, and that’s what I like the most about it. I’ve got a couple of pieces right now that I just get giddy over when I get orders for them. My “She Believed She Could So She Did” cuff is my fave right now. It’s my favorite quote, AND I stamp it in a stunning new large script font that I had a hand in tweaking in it’s development stage. 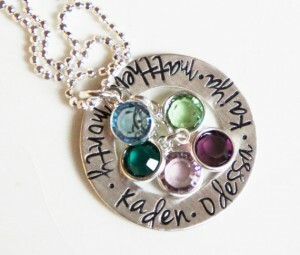 Another favorite is a sterling silver Mother’s Necklace with birthstones that turned out beautifully. When you’re not handcrafting such meaningful pieces of jewelry, what are your hobbies? I like to help raise money for a couple of Animal Rescue organizations that I hold near and dear to my heart, as well as volunteer my skills as a Registered Veterinary Technician when I have the time to do so. I love spending time with my 6-year-old son Griffin, he’s the light of my life. The Artisan Group has opened up this entire new world of opportunities that I never thought, as a small business owner in southeastern Ohio, would come about. I dream big, and have been told before that my dreams are TOO big, but TAG has helped me realize a lot of my dreams. Plus, what an amazing group of folks to get to know. We trade business advice and tips, we let each other in on small business opportunities that come about. It is such a unique group in that everyone genuinely cheers each other on. It’s just a really comforting, nice, calm place to come where you can talk to other folks who may be going through the same thing as a sole proprietor. I was blessed to become a part of TAG and have nothing but positive, amazing experiences from being a member. 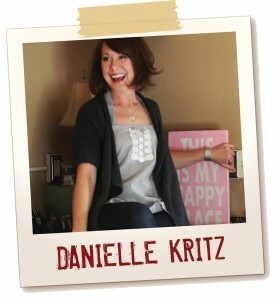 Danielle recently participated as a display participant in the official talent gift lounge on October 29 – November 1, 2012 at The Bridgestone Arena in Nashville, Tennessee, in honor of the Nominees and Presenters of The 46th Annual Country Music Awards (CMAs).